Since the Domino website disappeared into the world-wide oblivion, I've been itchin' for some good inspiration galleries. Not that there isn't plenty of inspiration to go around out there, but I like mine orderly and nicely organized into categories (which is why the Domino galleries were so great, can't we just have them back, please). I mentioned recently that House Beautiful was stepping it up in the photo gallery department. After reading my latest issue cover to cover on the beach this weekend, I checked back this morning to browse some galleries. They're still adding content to the galleries and I do wish there were a few more categores outside the basic rooms, but what's up there is good, so go take a look. My particular favorite this morning were the foyers. 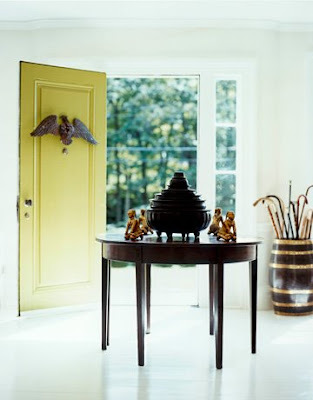 One of my favorite spaces in a house is right when you step inside the door. 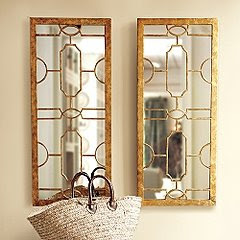 Half functional, half decorative, and a place where a little bit of drama is usually welcomed heartily. This Malm table from Ikea is actually listed as a dressing table in the bedroom section. 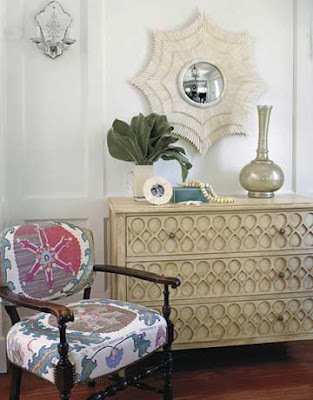 I stumbled across one in the 'As-Is' section on my last visit and loved the scale and heft of it for an entryway. It comes with one large drawer that pulls out that already contains a felt divider tray. 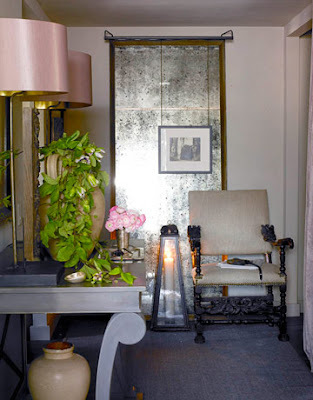 To which I would top off with these Montego Mirros from Ballard, and some kind of geometric-inspired lamp that I would probably spend hours scouring flea markets for, and then end up buying at Target (hey, it's the journey not the destination that counts, right). A fun place to hang the things that get used everyday, dog leashes, market bags, these would also look stunning when empty. $20 for the pair at Urban Outfitters, who can go wrong! 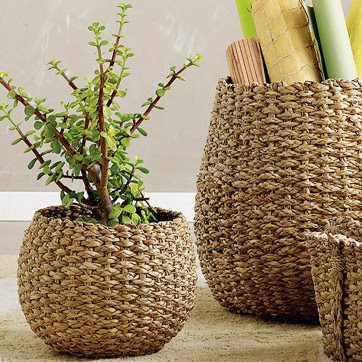 West Elm calls these Braided Storage Planters. I call them a pretty place to stash the daily newpapers and shoes. Fill it all in with my ever-growing To-Read pile of books, magazine and unsundry catalogs I pick up along the way and a smattering of trickents picked up from travel and there you go. Welcoming, functional, and not a fortune. 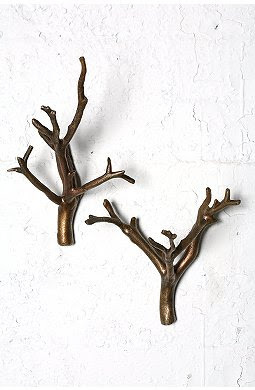 Love those twig hooks from Urban Outfitters! They look much more expensive. 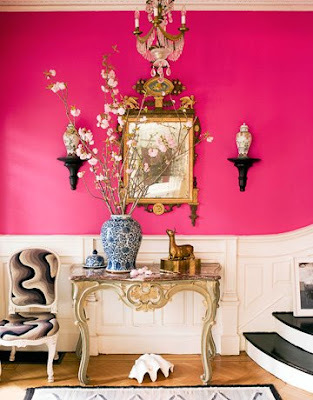 Lovely post, especially the photo of the hot pink wall! As always, you've provided tons of inspiration and products that are actually affordable and do-able. That Ikea table is a really cool idea for an entryway. I hope you had a great time at the beach! I love the first one with the pink drum shades and the pink one. Beautiful. The doors are what made me think wow. Love them the most.